OnDemand offers a comprehensive range of competitively priced HR products and services, any of which can be can be customized to meet your organization’s needs. Our systematic approach to human resource management ensures that the solutions, strategies and methodologies we implement improve your organization. Ultimately, your organization will have the optimal alignments of people, processes and culture, all oriented toward improving organizational performance. 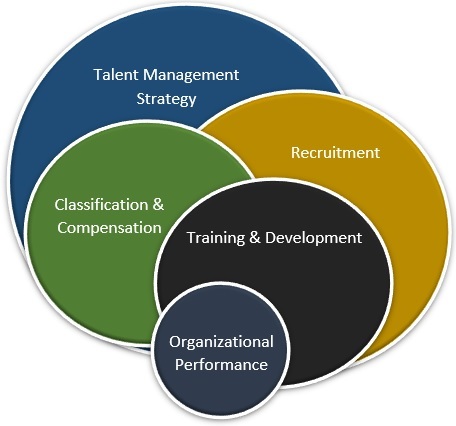 OnDemand offers a full range of talent management strategy services. The experts at OnDemand provide a comprehensive range of recruitment services to ensure that you hire the most qualified individuals for your team. Our recruitment services include general staffing, executive search, job analysis studies and test development and administration. Also, our assessment centers are the ideal, objective resource for determining a candidate's job-related expertise and competence for the position at hand. OnDemand provides a full range of studies to ensure that individuals or groups are classified appropriately for the work they’re performing – and that they’re being rewarded appropriately through compensation and benefits policies. The OnDemand HR experts can even assess your current training plan and recommend a strategy to improve your team’s success in the public sector.